Known as the Harvard of cooking schools and credited with having “changed the way Americans eat” by the James Beard Foundation, the Culinary Institute of America has trained a slew of culinary professionals and upon graduation each one would be clutching a well-worn copy of their class “bible”, The CIA’s New Professional Chef. The CIA has taken this successful course book and rewritten it for the home cook. Home Cooking with the Culinary Institute of America is a collaboration of professionals resulting in a collection of classic recipes and basic techniques for cooks of all levels. There is no gimmickry, no flowery prose, just straightforward instruction, some essential recipes, and a no-nonsense approach to cooking. One feels in good hands with this book, whether you follow it like a course, or just keep it on hand for quick reference when needed. There are charts for quick access to essential information such as selecting and preparing vegetables; best cooking methods and temperatures for cuts of beef. The repertoire of recipes is top notch—Moules Mariner; Lamb & Chicken Stew with Couscous; Braised Rabbit with Tomatoes and Pine Nuts; Southern Fried Chicken with Country Gravy; Roast Turkey with Pan Gravy; Beef Tenderloin with Wild Mushrooms; and Gnocchi with Herbs and Butter—a good selection of International and North American standards. Cooking at Home with the Culinary Institute of America is an essential how-to and reference book, with a beautiful layout and photography not typically found in a cooking basics book. 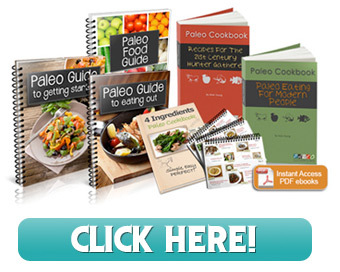 Save yourself a bundle on cooking classes and get this book instead! 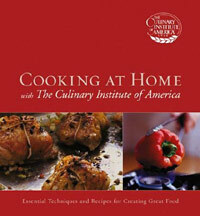 Nice post on cooking at Home with the Culinary Institute of America. Informative article. After reading this article I collect more information about this institute. Home Cooking with the Culinary Institute of America is a cooperation of professionals resulting in assortment of classic recipes and basic techniques for cooks of all levels.